Here he is smiling at me!! If you look really close you can see him smiling. He was awake, too (which is rare! ), but I happened to take the picture in the middle of him blinking! Here's the handsome little man sleeping. Hope all of my bloggin' buddies are doing great! I'm going to try to scrap some pictures this week when I have time-can't waste time and get behind now that I have TWO handsome men to scrap! I'll be sure to share them when I get done. Thanks for stopping in! Just wanted to let everyone know that Alex is here! I'll give you all the details really quick, then I'm going back to bed. :) So, I started feeling kinda bad last Monday, and then on Wednesday I woke up and was bleeding. So my mom came and drove me to the hospital and Jamie met us there. It turns out I had toxemia, and my blood pressure was insanely high. 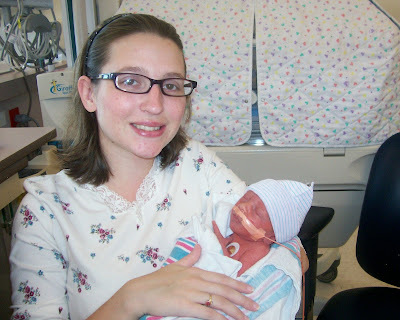 So I had to have an emergency c-section, which is the one thing I didn't want! We got to the hospital around 10:30, and at 1:21pm, Alex made his entrance into the world. He was screaming and flailing around and perfect. He's so stinkin' cute! 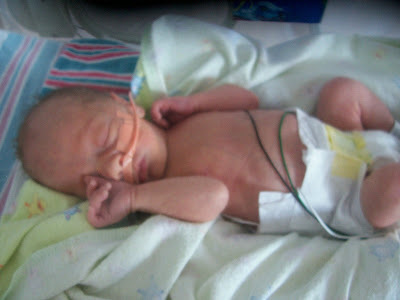 He was born at 3 pounds, 10 ounces and was almost 17 inches long. 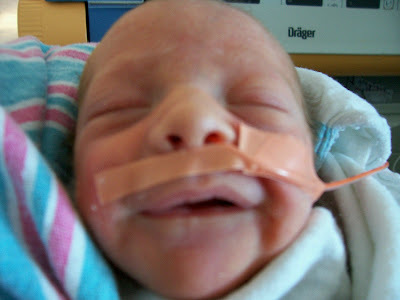 He's been in the NICU ever since, but he's doing really good. He had a little jaundice, but that is gone now. And last night they took him off his IV fluids which is awesome! 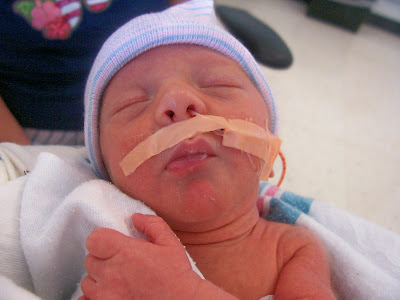 He is doing great with his feedings, and hopefully they'll be able to take him off his feeding tube soon. He is so handsome. I can't wait for him to come home. 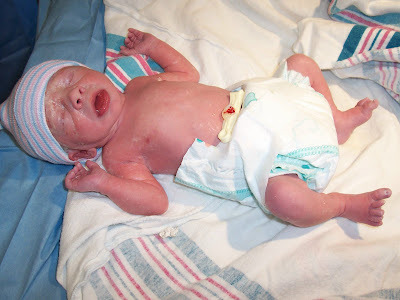 But its probably better that he is being well taken care of there, because I am not handling this c-section well! I can't believe how badly it hurts! Its been 5 days and I still feel like death! Aaron doesn't understand what is going on. Why can't he jump on me to give me hugs like he always has?!?! He came almost everyday to see me at the hospital, but he is very confused. 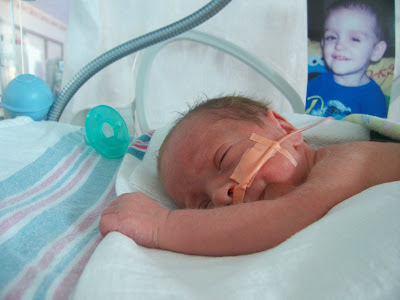 And he's too young to go in the NICU to see Alex which stinks. He's going to be mighty surprised when I bring a baby home! So thats all for now, just wanted to let everyone know that Alex is here and happy and healthy, just tiny! 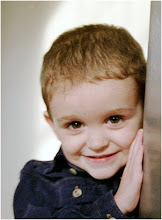 I will hopefully post some pics of the handsome little man later, so be on the lookout!